We have designed realty sector websites spanning a start-up suburban Real Estate Agency through to a large-scale rural Property Developer. First Priority Realty is a new Real Estate Agency focussed around Sydney’s south-west suburbs. The website is much more more than a business site – it’s a fully functioning property search engine with geo-map location search results and comprehensive property details pages. Furthermore, the site features a variety of custom forms for functions such as property appraisal bookings and tenant repair requests. 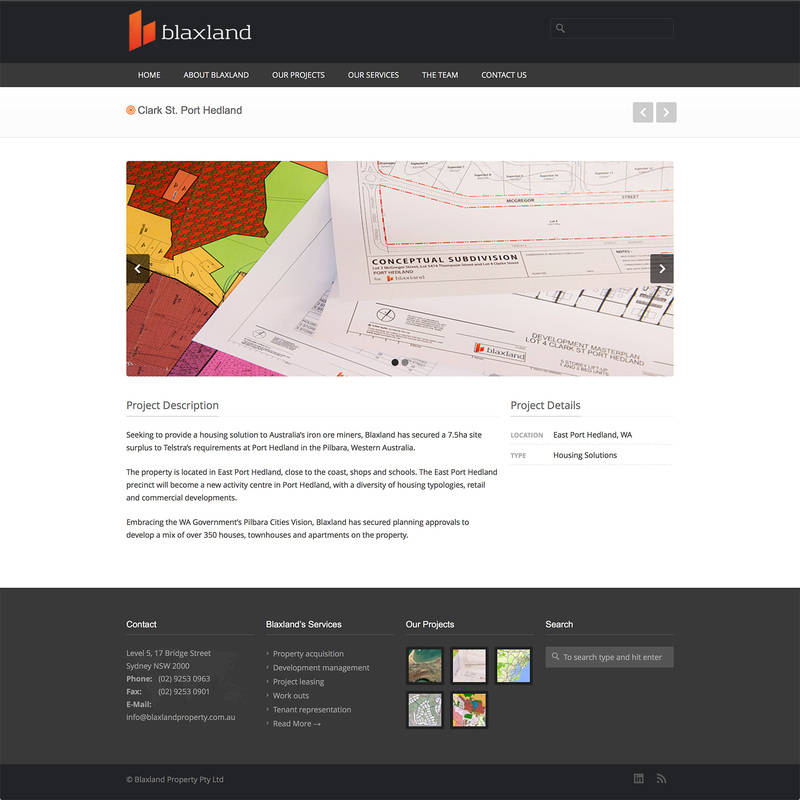 Blaxland Property specialise in identifying, securing and managing high return development and rezoning projects. 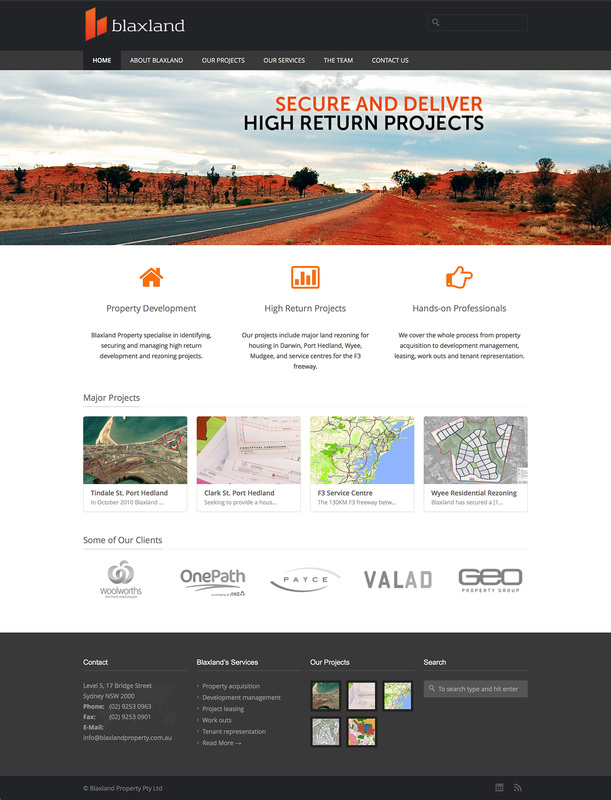 Their projects include major land rezoning for housing in Darwin, Port Hedland, Wyee, Mudgee, and service centres for the F3 freeway. 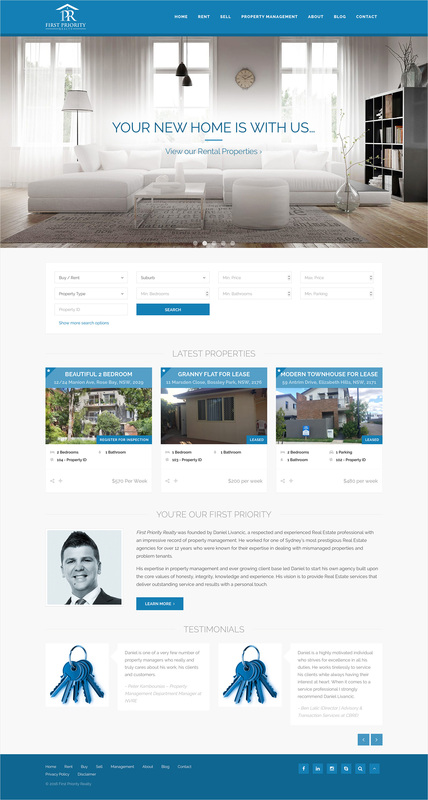 We created a business site for Blaxland Property with a focus on their development projects.